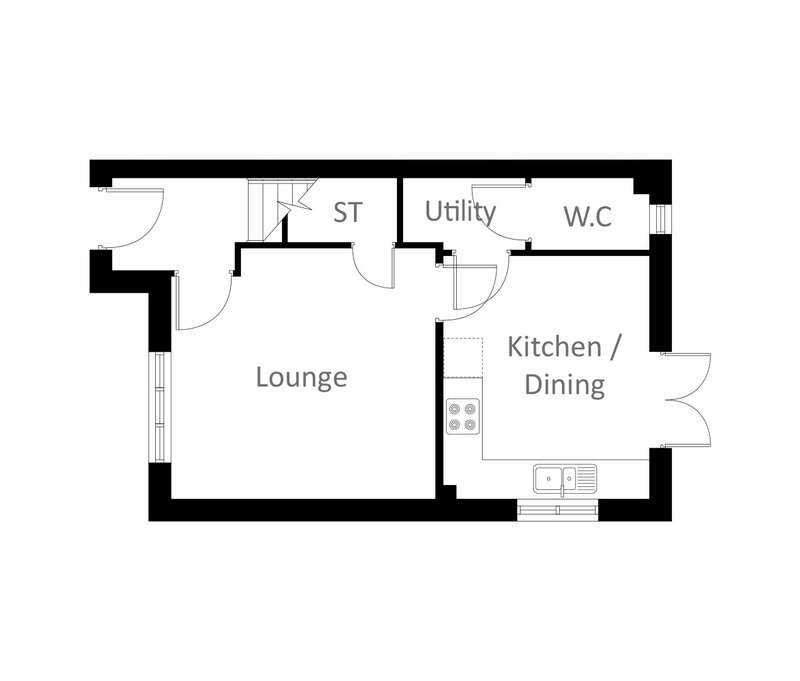 The Blair is a spacious and airy three bedroom home. It offers luxurious family accommodation with energy efficient; pv solar panels at an affordable price tag. 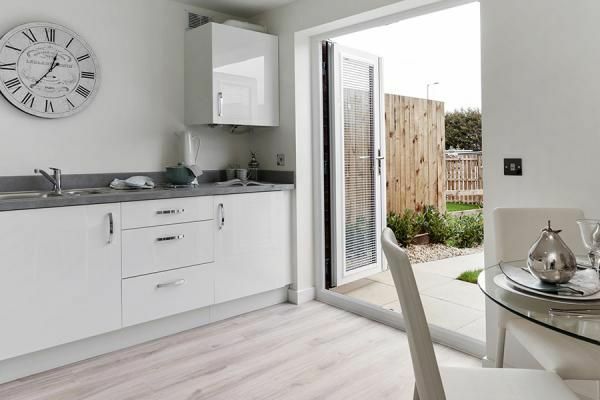 The ground floor boasts an open plan kitchen/dining area with french doors, perfect for entertaining as it not only brightens the room it also provides access to the fabulous rear garden- great for summer BBQs, family gatherings and more. The rest of the ground floor consists of a good sized airy living room, a convenient downstairs w.c. And separate utility room. 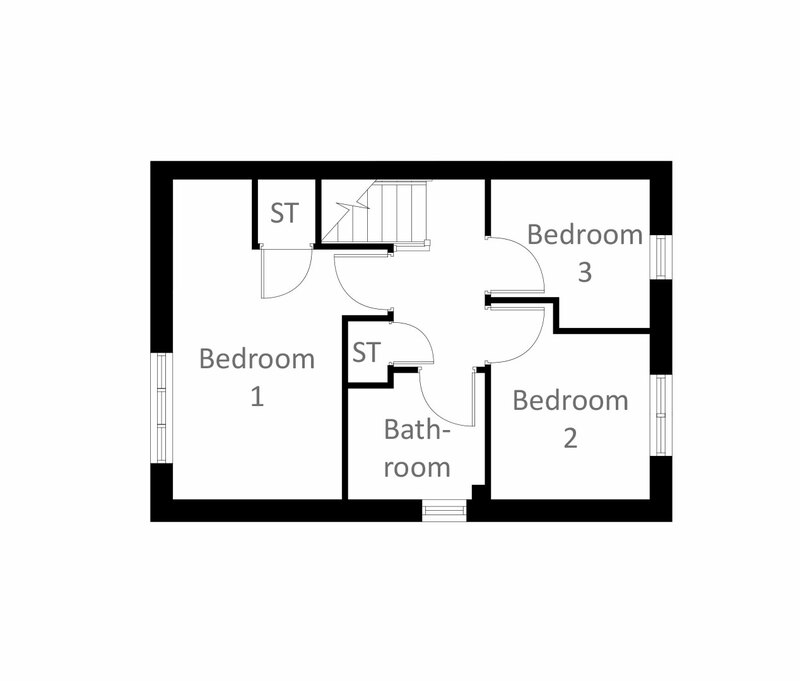 The upstairs features two superb double bedrooms, a single bedroom and a family bathroom to complete the floor. Find the perfect place to call home at Baxterfield, our exciting new development just 2 miles from the centre of Cowdenbeath and under 3 miles from Halbeath. Combining relaxed modern living with the convenience of great amenities on your doorstep, it's the ideal setting for a fantastic choice of stylish, practical yet amazing value homes that tick all the right boxes. Whether you're looking for a modern and well-equipped first home, somewhere bigger for the whole family to grow into, or even somewhere smaller to downsize to, it's easy to find the perfect one for you here. Find out how Help to Buy (Scotland)* could help you own your dream home with just 5% deposit! Did you know, we can help you sell your home and even pick up the cost of the agents fees! Ask about how Easymove could work for you. All virtual tour footage and internal images of our showhomes are for illustative purposes only. Property descriptions and related information displayed on this page, with the exclusion of Running Costs data, are marketing materials provided by Keepmoat - Baxterfield, and do not constitute property particulars. Please contact Keepmoat - Baxterfield for full details and further information. The Running Costs data displayed on this page are provided by SmartNewHomes to give an indication of potential running costs based on various data sources. SmartNewHomes does not warrant or accept any responsibility for the accuracy or completeness of the property descriptions, related information or Running Costs data provided here.